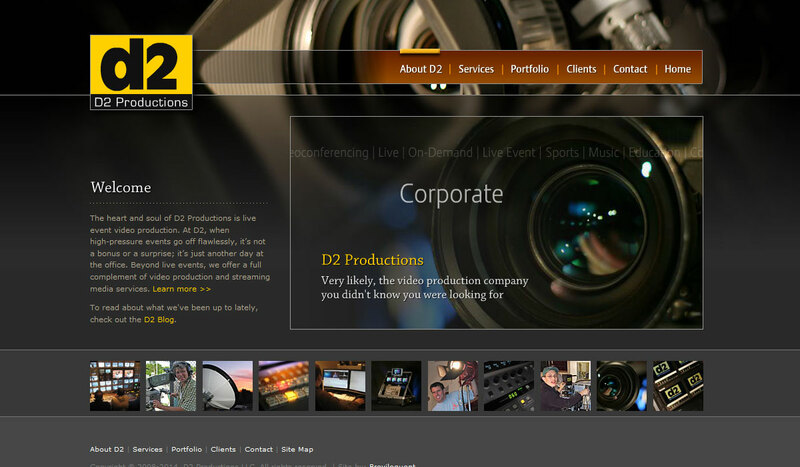 D2 is a company that calmly excels in the frantic, fast-paced, high-wire act of live event video production. 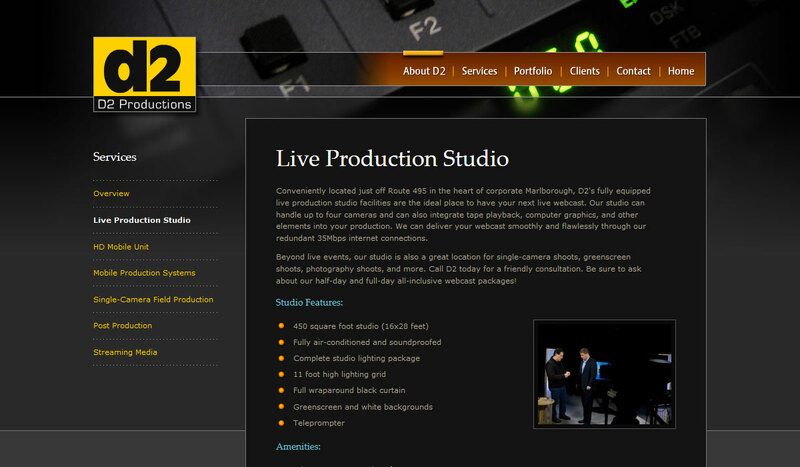 They produce, direct, and supply production facilities and crew for concerts, corporate programs, higher education, sports, independent producers, and more. They wanted a site that explained their production and streaming media services and provided an online portfolio of their amazing work and stable of very happy, high-profile clients.